We’ve been asked to announce the death of Doris Freda (Freda) Gardner. Aged 98 years Formerly of Ballacriy Park in Colby. She passed away on Monday 31st December 2018 At Springfield Grange in Douglas. Wife of the late Roy, she leaves daughters Lorna, Brenda and Norma. Son Stephen and families. The funeral service will take place at 11am on Saturday 5th January at Arbory Parish Church Followed by interment. Family flowers only please. For further information regarding donations in lieu of flowers please contact: Kingswood Funeral Home, Kingswood Grove Douglas Tel 661611. We’ve been asked to announce the death of Christopher ( Chris ) Kneale Aged 71 Years, formerly of Ballagawne Road, Colby. He passed away on Friday 28th December 2018 At Hospice Isle of Man. He leaves A wife Brenda, son Pau, daughter Julie and family. 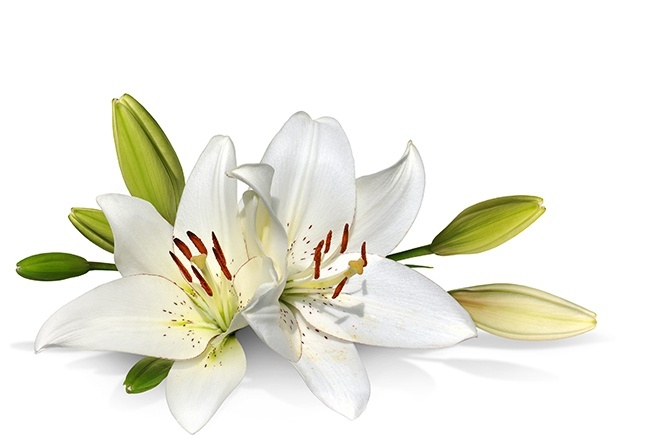 Funeral service will be held at Douglas Borough Crematorium on Friday 11th January 2019 at 10.45am. For further information regarding donations please contact: Cringle & Co, Ltd. Southern Funeral Service, Station Road, Port Erin Telephone : Port Erin 833602 or Castletown 824134. Nominated Charity Hospice Isle of Man . We’ve been asked to announce the death of William Douglas (Dougie) Corkish. Aged 92 years Formerly of Springvalley Road in Douglas. He passed away on Wednesday 26th December 2018 At Elder Grange Nursing Home in Douglas. Husband of the late Betty, he leaves sons Geoffrey, Paul, Garry And families. The funeral service will take place at 11am on Wednesday 9th January at St Georges church in Douglas. Followed by private interment at Braddan Cemetery. He passed away on 26th December 2018 At Hospice Isle of Man. Loving dad to David and Joshua dear brother to Stephen and Mandy he will be Sadly missed by all of his family and many friends. We’ve been asked to announce the death of Stanley Taylor Aged 85 Years of 41 Marashen Crescent, Port Erin, formerly of Castletown. He passed away on Tuesday 25th December 2018 At Abbotswood Nursing Home, Ballasalla dearly loved husband of Margaret for 64 years. Thanks giving Service will be held at The Grace Baptist Church, Bridson Street, Port Erin at 2.00pm on Monday 31st December 2018. We’ve been asked to announce the death of Adrienne Margaret Joan Jones Aged 93 Years. She passed away on Sunday 23rd December 2018 At Nobles Hospital. Beloved wife of the late Wilf Dale and Les Jones. Loving mother of Susanne, Yvonne, Jackie and Lisa. Sister of Doris, Dear nana to 9 grandchildren and 8 great grandchildren. Funeral Service and Cremation will be held at Douglas Crematorium On Wednesday 2nd January 2019 at 1.15pm. We've been asked to announce the death of Margaret Farrar Aged 92 formerly of Governors Hill. She passed away on the 22nd of December. Beloved wife of the later Norman. She will be sadly missed by family and friends. The funeral service will be held at the Douglas Borough Crematorium on Wednesday the 16th of January at 1:15pm. Family flowers only please, For further information regarding donations in lieu of flowers please contact: Alfred Duggan and Sons, Funeral Directors, The Manor Chapel of Rest. Tel: 673328. Nominated Charity: Manx Blind Welfare Society. We’ve been asked to announce the death of Robert Samuel ( Sunner ) Walls Aged 86 Years, formerly of Ballaveare, Port Soderick. He passed away on Thursday 20th December 2018 At Noble’s Hospital. He leaves Nephews and Nieces. Funeral Service will be held at Santon Parish Church followed by interment on Thursday 10th January at 2.00pm. We’ve been asked to announce the death of Nora McCormack (nee Collister) formerly of Ramsey. She passed away on Wednesday 18th December 2018 At Brookfield Nursing Home. She leaves her husband Brian, daughter Kathy, Son Ralph. Mother-in-law to Richard and Esther Loving Grandmother and great grandmother. We’ve been asked to announce the death of Pauline Wilde formerly of Julian Road Glen Park, Douglas. She passed away on Sunday 16th December Peacefully at her Home. She leaves Beloved husband Robert, son Mark, daughter Denise and families. Funeral service to celebrate Paulines life will be held at 1:15pm on Friday 21st at Douglas Borough Crematorium. Beloved wife of the late Bob, Dear Mum and best friend of Sue and the late Philip, most wonderful Nan to Liam and loving sister to Colin, Kenneth and Norman. Funeral service will be held at Malew Parish Church followed by private cremation on Thursday 27th December at 1pm. We’ve been asked to announce the death of Helen Skillicorn Aged 63 Years, of Beary Close Peel. She passed away on 14th December 2018 At Hospice Isle of Man, With her family by her side. Loving Wife to Chris mum to Robert and the late Martin Gran to freyah and sister she will be Sadly missed by all of her family and many friends. We’ve been asked to announce the death of Ezlin Power (nee Howland) formerly of Bride she passed away on Wednesday 12th December 2018 At Elder Grange Nursing Home she leaves Daughters Voirrey and Jackie, grandchildren Katherine, Emily and Elizabeth. We’ve been asked to announce the death of Sheila Netherwood. She passed away on Wednesday 12th December 2018 At Nobles Hospital Loving and adored wife of Les. She will be sadly missed by Les, her family of dogs and all who knew her. We’ve been asked to announce the death of June Margaret Lowe Aged 86 Years of Brinnington Residential Home in Douglas. She passed away on Saturday 8th December 2018 At Marathon Court Nursing Home in Douglas Wife of the late Eric, she leaves son Colin, daughter Sandra and families. A service to celebrate June’s life will be held at 10.00am on Thursday 13th December at Douglas Borough Crematorium. Family flowers only please. For further information regarding donations in lieu of flowers please contact Kingswood Funeral Home, Kingswood Grove Douglas Tel 661611. Loving wife of Hamish, mum of Kirsty and Keith and a much loved grandma. Funeral Service and Cremation will be held at Douglas Crematorium at 2.45pm On Wednesday 19th December 2018. We have been asked to announce the death of Gladys Gillatt, aged 91 years, formerly of Church Road, Onchan. She passed away on Thursday the 6th of December. She leaves husband Arthur Gillatt O.B.E, A Dear Aunt of Joan, Brenda, John, Anne, Elaine, Alan the late Janet, also a great Aunt. The funeral service will be held at St Peters Church, Onchan on Tuesday the 18th of December at 10:45am follows by cremation at the Douglas Borough Cremation. We’ve been asked to announce the death of Edna May Ainge MBE he passed away on the evening of Thursday 6th December. Beloved wife of John, mother of Roger, Josephine, Jennifer and stepmother to Kerry. Funeral Service and Cremation will be held at Douglas Borough Crematorium On Wednesday 12th December at 2pm.